This article looks to provide you with a brief but detailed introduction on how does online poker work. How online poker works differs compared to real life poker play, this guide will show you everything you need to know. According to historians, poker’s roots can be traced by to 10th-century China, where it was played as a game which used dominos and cards. In Europe, the closest equivalent to modern-day poker is Poque which became popular in France during the 17th-century. Moving forward to the 21st-century, you’ll now find millions of people enjoying online poker all over the world at dedicated poker network sites and online casinos. Because online poker rooms require no physical space or dealers, their running costs are much smaller than their counterparts at bricks-and-mortar casinos. As such, the gambling operators can afford to charge players less to play; for example, you’ll find plenty of low-stakes tables and freeroll tournaments (where entry is free) that allow beginners and people with smaller budgets to learn and improve their game. The requirements for playing online poker are very basic, and you don’t even need a pack of playing cards or a pal to practice with to get started. A desktop PC or laptop that’s under a decade old or a tablet or smartphone should suffice. Obviously, you’ll need a reasonably fast and reliable internet connection too. So, if you’re thinking about playing on a mobile device, you’ll ideally want 3G coverage at the minimum. Live dealer games are a lot more intensive when t comes to graphics, processing power, and internet speed, but most sites will advise you of the minimum system operating requirements so that you can ensure your computer/mobile fits the bill. One of the most common questions that we’re asked by players other than “how does online poker work?” is “how much money do I need to start playing?” and it’s a very good question. Contrary to what you might think, you don’t need a big bankroll at all to get up and running. In fact, many sites offer free-play online poker games specifically for people who are just starting out. Plus, several of the biggest UK operators invite new customers to claim free bonuses when they sign-up. 888Poker, for example, has a £20 no-deposit bonus available at the time of writing our “How Does Online Poker Work?” guide. Many sites give you a choice of real money or practice play mode, so if you’re learning the ropes or wanting to test out a few new strategies, practice play is the perfect solution. We also recommend that you look for sites that allow you to play with low stakes of 1c and upwards. Once you’re feeling confident enough to play with your own cash, you’ll want to make a deposit. But, before you rush to top-up your account, don’t forget to check the site’s promotions page to see if there are any welcome or reload bonuses available. On this page, we list the top-ranked online poker sites in the UK, and show you what welcome packages are currently on offer. Some of them let you claim free funds without having to hand over any money whatsoever while others give you extra bonus funds as an incentive for making your first deposit. Once you become a funded player, the golden rule is to set yourself a budget and stick to it religiously. And, once you start to win, you can choose whether to cash-out straightaway or use your winnings to fund future games and thus save you having to make another deposit. Once you’ve joined an online casino or poker site, you’ll need to download the online poker software client before you can begin. Usually, the software takes up minimal space, and if you’re planning on playing on your tablet or mobile phone, there may even be a convenient mobile app which you can download and install free-of-charge on your device. Once you’ve installed the software or mobile app, you’ll be prompted to create an account and confirm that you’re old enough to play. Wherever possible, you should choose a poker site that’s licensed and regulated by the UK Gambling Commission. Please note that as part of the verification process and I.D. checks, you may be asked to provide credit or debit card details. Now that you’re all set up, it’s time to choose what type of game you wish to try first. Most operators offer a variety of game variants including Omaha Hi-Lo, 7 Card Stud, and Texas Hold’em, and usually, you’ll find the rules published somewhere in the help pages. Cash games run around-the-clock and allow you to jump straight in without having to wait for a table to fill up. Plus, they give you the flexibility to play for just ten minutes or several hours at a time depending on your preference and schedule. However, if you prefer, you can take part in a tournament. The advantage of participating in tournaments is that you can often buy-in for small amounts (or even play free-of-charge) and potentially win huge sums of cash in the process. Once you’ve bought-in, you can play for as long as your chips last. And, if you’re hoping to pick up some tips, you have the benefit of being able to watch other people’s hands while sitting and learning. You’re also likely to come across games which are referred to as Sit & Go’s. Sit & Go’s are another type of tournament but on a smaller level. Because they usually only involve one table, this kind of tourney is much quicker, but that also means that the potential prizes are smaller than bigger tournaments. 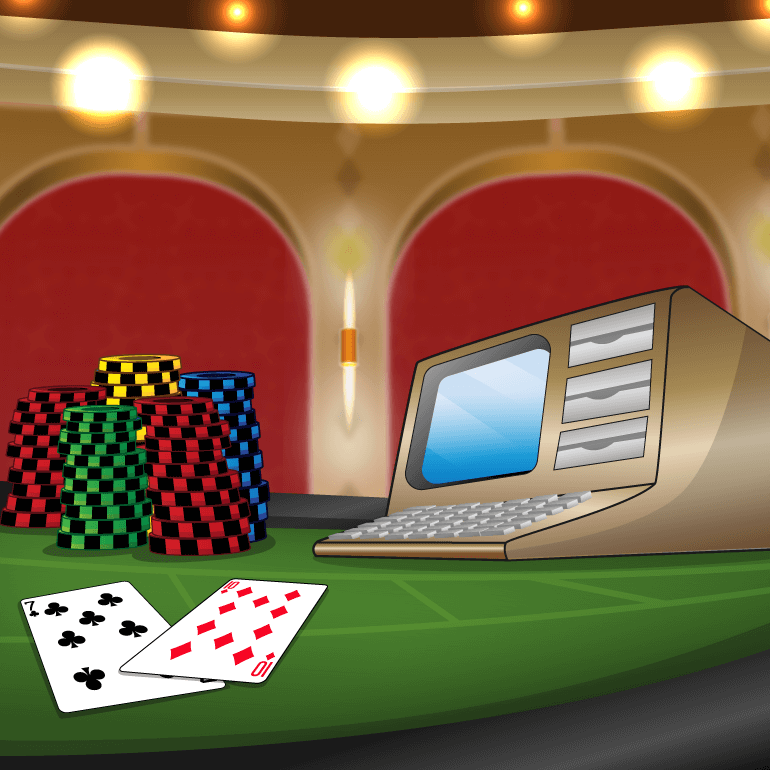 Online poker uses three key types of betting – Fixed Limit, No Limit, and Pot Limit. Fixed Limit is ideal for anyone who wants to play at a slower pace. 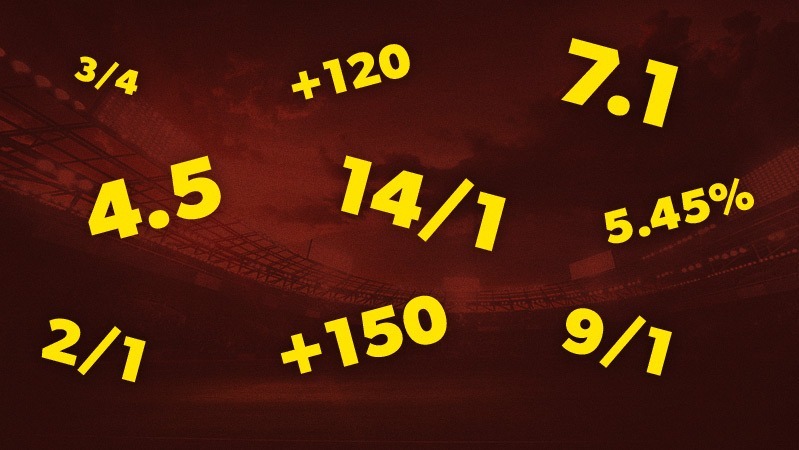 The maximum that you can bet is four times the Big Blind in each round of betting, which makes it perfect for new players to get through multiple hands while getting to know the rules of the game. No Limit is all-in, all-action, and is the kind of betting that you’ll see being used at the World Series of Poker and on TV. No limit tables are very popular with players, and are more suited to risk-takers and high-rollers than newbies. Pot Limit betting falls somewhere between Fixed Limit and No Limit as it only allows you to bet up to what’s in the pot. With raises, the pots can potentially grow to impressive proportions, allowing for bigger hands. One particularly popular Pot Limit game is Omaha-Hi. Now that we’ve covered the basics of “how does online poker work?”, it’s time to find you a great site to start playing at. At ThumbsUpBonus, we have a team of keen online poker enthusiasts as well as fans of online bingo and casino games, so we’re ideally placed to share our tips and experience with our readers. We’re one of the first review sites to hear about the latest launches, so you can count on us to bring you straight up to speed with all of the newest promotions and brands. We’ve also taken the time to carry out extensive research into the UK’s most popular online poker sites like Poker Stars, Party Poker, and 888Poker to see if truly as good as they seem. As you can see from the table above, we’ve tracked down the cream of the crop, and ranked our findings according to how well each site performs. We take into consideration factors such as welcome bonuses, promotions, game variety, customer service, banking methods, and payout speeds. Each site on our list provides you with a brief overview of the types of bonuses that are available to new customers. For example, some offer no-deposit bonuses as big as £20 which you can claim during the registration process. Others invite you to claim massive welcome packages of up to £1,000 when you become a funded player. Finding the perfect site for your needs is really all about personal preference. So, we suggest that you click through using the orange “VISIT” buttons next to each of the brands that you’re interested in. Once you’ve arrived at the site, you can take a closer look at the special offers, games, and tournaments that are available before deciding which online poker website best fits your needs. You may wish to bear in mind that the bigger and more popular sites tend to run the most games, and have a larger number of active players. As a result, the smaller sites frequently try to compete by offering more generous welcome bonuses which may seem like a more attractive option. If you’re planning on playing online poker with real money, you’ll need to make a deposit to your account. Thankfully, the banking process is nice and straightforward, and allows you to add and remove funds often in just a few seconds. Like online casinos, online poker sites let you choose from a wide range of payment methods. Many people choose to use debit or credit cards, and providing that the place you play at uses SSL encryption, all of your banking details will be encrypted during the transmission process. Although deposits via credit and debit cards are instant, withdrawals can take several working days. For added security and the benefit of faster withdrawals, a considerable number of online poker players opt for e-wallet systems like Paypal, Neteller, and Skrill. Other common payment options include fast bank transfer, Pay by Mobile, Entropay, and Paysafecard. Are Poker games really fair? When you’re playing online poker and the cards are automatically generated by computer software, it’s natural to wonder whether the outcome of the games may be fixed. 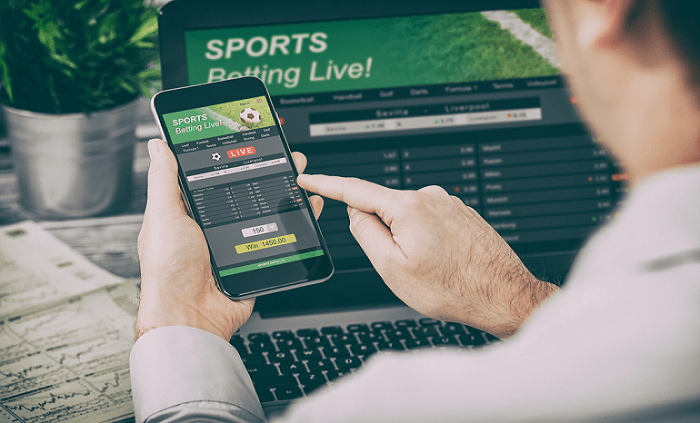 However, if you only play at sites which are licensed and regulated here in the UK (by the UK Gambling Commission), you’ll be in perfectly safe (and fair) hands. Software called an RNG (which stands for Random Number Generator) is used to select the cards randomly from the deck, and this RNG software is regularly tested and audited by independent testing companies so that there can be no external influence either by the player or the operator. Online poker sites are also designed so that no-one can view your cards and vice versa, not even the technical staff, until you’ve finished playing your hand. We hope you’ve enjoyed reading our “How Does Online Poker Work?” guide, and that it proves extremely helpful in your hunt for the right place to begin your exciting journey. While you’re still relatively new to the game, you may find it useful to bookmark this webpage so that you can return at any time to refer back to this guide or look at newly-added online poker sites and offers. For now, however, all that remains to be done is for you to start looking through our list of recommended poker sites, and decide which one/ones you wish to examine in closer detail. There are some excellent bonuses and introductory deals to take advantage of when signing up with these top online poker sites, and with a little help from the ThumbsUpBonus team, we’ll help you claim them quickly and easily.